In the weeks before I packed up and moved, I had the urge to finish up a few lingering projects. One such project was finishing a Texel single that had been hanging around the place since January. 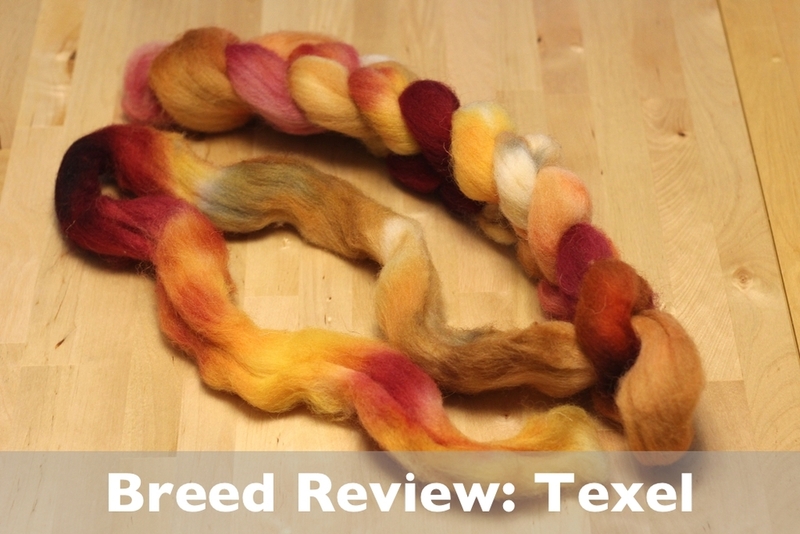 The Texel was a special skein since it was the first I’d spun of that breed (Click to read the full breed review). Because it was a first, I wanted to get the most out of the 4 oz and preserve the color which meant spinning a single. An added bonus was that I get to try an idea I got from Hedgehog Fibers, intentionally felting handspun. Why felting? Singles aren’t the strongest of yarns and felting would make the yarn more durable and pill resistant. My less technical reason was that I’d never done it before and wanted to experiment. First thing to do was set up. I filled the sink with the hottest water I could get out of the tap, 131º F. The cooler on the left was filled with cold. Both had enough water to fully submerge and swish the yarn around. Both also had a generous helping of soap. I used unscented Eucalan because that’s what I had and didn’t want to over felt the yarn washing out dish soap. A few guides I’ve read also recommend shampoo which is probably easier to rinse out than dish soap as well. Prep done, the skein went into the hot water bath to soak before I went to work on it. Once I was happy with the yarn’s level of sogginess, it got a vigorous stirring. I used a straw to spare my hands and somehow managed to stay dry during the process. My kitchen started to smell like lanolin too. After 20-30 seconds of agitation, I plopped the skein in the cold water. Lots more squishing and swirling was had. The yarn got another hot and cold water dunk with plenty of swirling and smooshing. After the third trip through the hot water, I decided to see how the felting was coming along. I pulled out the skein and squeezed out some of the water. The skein hung straight with few curls and looked firmer - I know, an exact description. Individual strands were sticking together but weren’t difficult to pull apart. What really convinced me to stop though was the complete lack of stretch when I snapped the skein between my hands. Before going into the water, the skein had stretch and give, but, now, there was none at all. The yarn got one last dunk and swirl in the cold water before I wrapped it up in a towel to squeeze out excess water. After snapping the yarn a few times more between my hands, it got several good thwacks against the kitchen floor before being hung up to dry. The left photo is what the yarn looked like before the snapping and thwacking. The photo on the right is after. Big difference. One interesting thing I noticed before draining the water was the color of the two baths. The hot water in the sink barely changed color at all, but the cold water turned reddish-yellow. I’m not really sure why the different temperatures affected the dye differently. 3 baths was just enough to lightly felt the yarn which was exactly what I wanted to happen. The thwacking did roughen up the finish a little but I like the finished texture. It’s hairy, but not too hairy, and I can pick out the kemp, AKA guard, hairs if I want too. If Texel had luster like Merino, thwacking would probably have dulled the skein but that wasn’t an issue here. Part of the reason I lightly felted the yarn was because I didn’t want to massively reduce its diameter. Before felting, the skein was ~12 WPI which makes it sport weight. After felting, I was surprised that the yarn was still ~12 WPI. What did change though was the yardage. 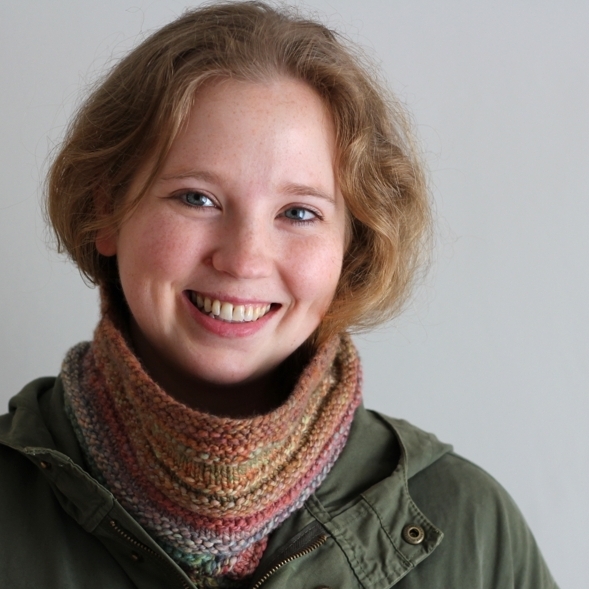 The skein started with 304 yards and ended with 286. Had I kept felting, both the WPI and yardage would both have changed drastically. I’m calling this little felting experiment a success. The process was easy and relatively fast. Felting singles is something I’m definitely going to do on a regular basis. Plus, I love everything about the finished yarn. It’s not often that I have a plan for my skeins as soon as they’re dry but this one is different. It’s going to be a pillow once I decide on a pattern. Maybe something with short rows a-la Lizard Ridge. Of all the handspun and fiber photos I've taken recently, this one has stood out the most. It makes me happy. So, I spent a few minutes in Pixelmator resizing the image to use a desktop wallpaper. While I was at it, I cropped it down to make a mobile version. Download and enjoy! You can always use a little more fiber. As I learn about spinning and wool, I’ll share it all with you. I have the Greater Los Angeles Spinning Guild to thank for this bump of wool. At every meeting, the guild holds a raffle with items donated by members. The proceeds go to the guild and I always bought a few tickets even if it meant scrounging up a couple of quarters from the bottom of my purse. Eventually, one of those tickets won and I took home 103g of Texel with the fitting colorway name of Tequila Sunrise. With a little research on Ravelry and Google, I found out that roving was part of Southern Cross Fibre’s January 2012 fiber club. Internet, you rock. Since learning to spin, I’ve become familiar with Merino, Bluefaced Leicester, Falkland, and Targhee but Texel was a new breed for me. At first glance, it wasn’t lustrous but had wonderful color. At first feel, it wasn’t next to the skin soft but seemed sturdy and strong. I opened up The Field Guide To Fleece to get more information. Turns out that Texel sheep are raised mostly for meat but that their wool is of good quality. The fiber insulates well, takes color easily, has strong crimp, and can vary in staple length from 3” to 6”. I can’t speak for the insulating qualities but I can definitely attest to the color and crimp. The staple length in my roving was between 3” and 4”. The authors also write that Texel is “relatively easy to spin” which I found to be the case as well. After pulling out the chain I was able to get a good look at all the colors. The fiber was dyed randomly with no two segments of color the same length. Fractal-spinning was right out but I didn’t want to spin a 2-ply either and potentially muddy the colors. I decided a fat single would best preserve the colors and went from there. For easier drafting and to break up the longer color stretches, I split the fiber lengthwise down the middle. Split them again, but in half this time to create 4 nests of fiber. During spinning, I picked them randomly when I needed more fiber. Since I was aiming for a fat single, I used a short-forward draw and the 6.8:1 whorl ratio on my Sidekick. I’m glad I split the fiber up because that meant I had several long gradients of color just like this. Can’t wait to see how this yarn knits up. While I was drafting I came across these individual hairs occasionally. They were longer and courser than the rest of the fiber and didn’t take dye at all. If I noticed them before they were drafted into the single, I pulled them out, but didn’t worry with them otherwise. This is what happens when you forget to switch over to a jumbo bobbin before spinning 4 oz worth of singles. Thankfully, nothing got caught up in the whorls or twisted around the flyer shaft. Off the bobbin! Normally, if I were finishing and setting the twist as usual, this is where’d put the info about what happened after it came out of the wash; however, I’m trying something new with this skein. When I was spinning the Texel, I came across a blog post from Hedgehog Fibres that focused on fulling, aka felting, handspun singles. Those yarns looks lovely and I want to try intentionally felting my handspun for once instead of doing it by accident. More on that adventure soon.